How to get started offering holiday decoration and lighting services. 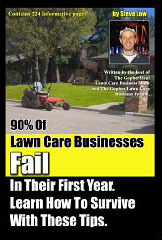 A bad economy is a great time to start a lawn care business. Getting started offering gutter cleaning services. 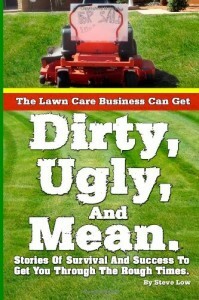 Lawn care business advice from a 15 year old entrepreneur. Advertise your lawn care business on garbage cans. A lot of areas won’t let you put out a yard sign on your property to promote your lawn care business, but what if you put a sign on your garbage cans to promote your lawn care business? This could be a great way to build out your routes around current customers. 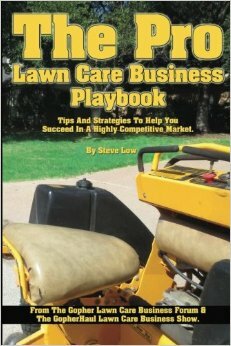 What freebies work to get lawn care contracts signed? 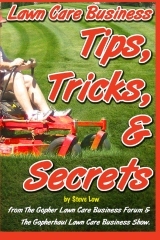 How to use a squeeze page on your lawn care website. A landscaping and lawn care debt collection letter that works. A quick way to calculate the cost per hour of operating your equipment. How to charge for snow plowing. With winter on it’s way, many new lawn care business owners are looking to add snow plowing to their list of winter services. Trying to come up with an idea on how to charge can be challenging, especially for new businesses. The benefits of lawn care business job tracking. One of our forum members shared with us his insight into the importance of job tracking. I think his insights will be very helpful and lead you on a proper path. 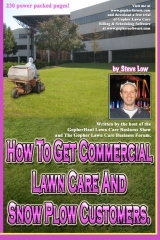 If you would like to join in on this discussion further, visit this discussion at the Gopher Lawn Care Business Forum. Don’t try to compete with $15 bucks a cut, stand out and command a premium. 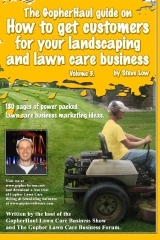 What will make your lawn care business look professional and make you more money. What to include in your hand written thank you card? Each year you should consider dropping off a hand written thank you card to your lawn care customers. You don’t have to do them all at once. 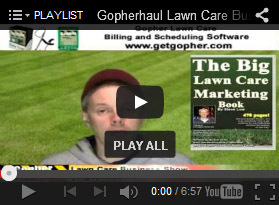 Just break down your lawn care customer list and do them step by step. 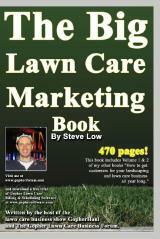 This is a great way to build up your lawn care business referrals. Choosing the right snow plow for your lawn care business. If you are looking to add on additional services to your lawn care business to help get you through the winter months why not consider offering snow plowing? 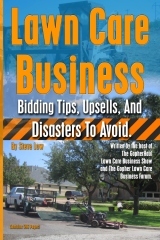 The benefits of and how to sell annual lawn care contracts. How much money can a solo lawn care business owner make? Should you raise or lower your lawn care prices in winter? The benefits of using synthetic oil in your lawn mowers. 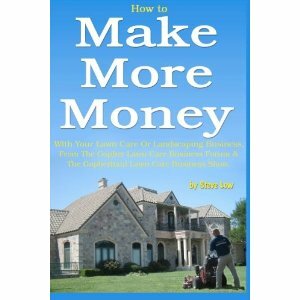 How to get lawn care & yard work on foreclosed homes. What’s better, an open or enclosed landscape trailer? When most landscapers start up their business, they tend to start with a truck only. Then later they may add an open trailer. At a certain point you may be asking yourself what’s better to have, an open or enclosed trailer and why? 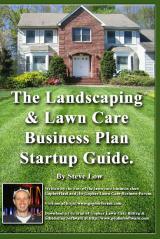 Co-market with a Garden Center to gain more lawn care business. 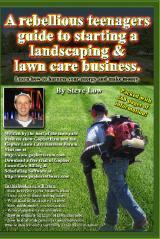 Team up with a real estate agent to promote your lawn care business.